You are currently browsing the archives for the Eric Holder category. Unthinkable. Despicable. Kids learned to “play” the system. Obama “played” the students, teachers and parents. We all lost. Will we stand by again or will we act? While we all would like a ‘second chance’ when we err, students with the PROMISE plan for school infractions quickly learned that it is a sham that they can (able) and may (no consequences so permission is implicit) exploit. They learned how to play the system for countless second chances. What happened to the expectation of teaching the next generation responsibility and accountability? What happens to an academic program when discipline is absent from the classroom, the school building, the school district? We have learned the answer—more and more school shootings by mentally disturbed, glory-seeking individuals who have gotten by with other acts of violence in the schools and fear no consequences in those ‘gun-free’ zones. The get-out-of-jail-free card is not restricted to the board game Monopoly. That seems the foundation of the whitewashing discipline program PROMISE. While Obama promised to heal the racial/ethnic divide in this country, the truth is that he skillfully set up more barriers between groups. One such tool of division and unrest is the PROMISE program. It was instituted “…by the U.S. Departments of Justice and Education in 2014, [and] includes a call for schools to ensure that they are not involving law enforcement in routine disciplinary issues. It also put schools on notice that they may be in violation of civil rights laws if their disciplinary policies lead to disparately high discipline rates for students of color, even if those policies were written without discriminatory intent.” With such threats from the federal government, it is not surprising that school districts “embraced” the mandate…often with no public disclosure of those changes unless someone knew to investigate the discipline handbook of their community’s district. But who would look? Until the shooting at the Parkland High School, the public knew little or nothing about the PROMISE program to whitewash students’ infractions. Following the massacre in February 2018 in one of the Broward County district schools, Parkland High School, people asked if the shooter (name withheld to not add to his notoriety) had ever been arrested, which would have denied him the right to purchase firearms. The suspect was known for violent acts, including the killing of small animals for sport and the vandalism of a school bathroom while yet in middle school. The sheriff’s office had been called to his home dozens of times. Both the school deputy and the FBI received tips that this disturbed individual was planning a school shooting. The school had even recommended an involuntary mental evaluation. But nothing was done by officials to intervene and prevent the tragedy. 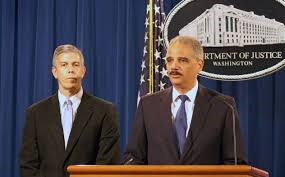 They were following the Obama directive and needed to protect the image of the school. “Students can be considered first-time offenders even if they commit the same offenses year after year. The district’s claim of reforming bad behavior is exaggerated. The shooter was suspended some 67 days during a year and a half in middle school and continued to have problems in high school. However, his record didn’t show that. The administrators use the numbers to market their school. They do not want their school to be perceived as dangerous. Parents would not send their children to those schools if the truth were known. Only after tragedy hits the school, does the community learn the awful truth. Their children became the innocent victims of those who have enjoyed endless second chances to whitewash their school records. How many more innocent students, teachers and school personnel will be sacrificed on the PC altar before the culture of leniency is revoked and personal accountability for personal actions is restored? Although the identity of the first person to make this statement seems to be debatable, its truth is widely repeated, “All that is necessary for the triumph of evil is that good men do nothing.” Who will do nothing? Who will act? It’s time to figure out the things that went wrong with the Marjory Stoneman-Douglas HS shooting. Why didn’t the Broward County Sheriff’s Office detect the shooter? Why wasn’t he arrested? How big of a role did the PROMISE Program play in this tragedy? Did the Obama administration put in place the building blocks that all but insured this tragedy? We know that the School Resource Officer stayed outside the school once the shooting started. We know that it’s his job to run towards danger when all hell breaks loose. He didn’t do that. He hid rather than protect students. Further, we know that 3 other deputies stayed outside rather than running in and saving kids’ lives. Additionally, we know that Broward County enthusiastically implemented the PROMISE Program in 2013. PROMISE stands for “Preventing Recidivism through Opportunities, Mentoring, Interventions, Support & Education”. It provides counselling for misdemeanors like “assault, theft, vandalism, underage drinking and drug use”, which focuses on something known as restorative justice. What’s frightening about this is that these incidents don’t get reported to the police or sheriff’s department. According to the District, “Rather than focusing on punishment, restorative justice seeks to repair the harm done.” In other words, these students are told to take touchy-feely classes rather than facing legitimate discipline. People like Nikolas Cruz don’t ‘slip through the cracks.’ They laugh their asses off at the idiots administering the PROMISE Program while they waltz through the cracks. Kirsanow said that in just the first year after the Obama administration issued its anti-discipline edict, public schools failed to expel more than 30,000 students who physically attacked teachers or staff across the country. Previously, “if you hit a teach, you’re gone,” he said, but that is no longer the case. For example, in St. Paul, Minn., a high school science teacher was “beaten and choked out” by a 16-year-old student, who allegedly came up behind him, called him a “f–king white cracker,” and put him in a stranglehold, before bashing his head into a concrete wall and pavement. The student, Fon’Tae O’Bannon, got 90 days of electronic home monitoring and anger management counseling for the December 2015 attack. If it isn’t obvious that violence is increasing at these schools as a result of leniency policies, then it’s apparent that people aren’t paying attention. Through this disaster, Sheriff Israel has been the poster-child for stupidity and arrogance. He should’ve been suspended before the CNN lynching, aka CNN town hall. Before he took the stage that night, he knew that his deputies had failed those students. Those deputies that stayed outside should’ve been fired immediately. Instead, Sheriff Israel praised them. If I was the father of one of those students that got murdered and I’d heard Sheriff Israel praise his deputies, there’s a better than 50-50% chance I wouldn’t take that well. Since then, major players and organizations, including Everytown, Giffords, Move On, and Women’s March LA, told BuzzFeed News they are helping with logistics, strategy, and planning for next month’s March for Our Lives rally and beyond. Much of the specific resources the groups are providing to the Parkland students remains unclear, as is the full list of supporting organizations, but there are broad outlines. Giffords, an organization started by former US Rep. Gabrielle Giffords that fights gun violence, is working with Everytown and Moms Demand Action for Gun Sense in America to plan the main march on Washington, as well as sister rallies across the country. These organizations are disgusting. It’s one thing to advocate for misguided policies. That’s their right. It’s another to use children to advance those ill-informed policies. That’s manipulating young people who’ve just been through a traumatic experience. That’s cold-blooded. That’s unacceptable.